She stood well under 5 feet (some say 4 feet, 3 inches). Yet, she was a giant with lion-hearted boldness in calling for missionaries to foreign fields. Writing in 1874 to H. A. Tupper, head of the mission board in her day, she challenged, “Oh that we had active and zealous men who would go far and wide scattering books and tracts and preaching the word to the vast multitudes of this land” (Keith Harper, Send the Light, quoted by Danny Akin, Five Who Changed the World, 64). She would also challenge Southern Baptists to give more for the sake of spreading the gospel among the nations. For decades Southern Baptists have risen to Lottie’s challenge to go and give. In fact, Southern Baptists have given record amounts in recent years to the Lottie Moon Christmas Offering (2013 record amount of $154 million and $153 million in 2014). Further, individuals and couples are still answering the call to go and tell the good news among the nations. In spite of these record amounts of giving, some missionaries in recent years have been on hold to go because the finances are just not there (http://imb.org/updates/storyview.aspx?StoryID=7989#.Vp-aaGco7IU). In 2016 we need to hear Lottie’s words afresh. 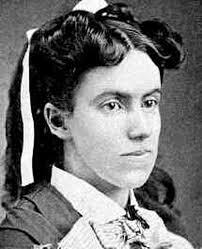 In January 1888 she wrote: “The needs of these people press upon my soul, and I cannot be silent. It is grievous to think of these human souls going down to death without even one opportunity of hearing the name of Jesus” (Aking, Five Who Changed the World, 67). Today there are still billions who will go down to death without ever hearing the name of Jesus. The IMB has recently made some hard decisions to reduce their force between 600 and 800 people. The fact is, missionaries are coming home. This reality should strike the largest Protestant mission organization in the world with great force. We are sending missionaries home because the funds are just not there. How this problem began is another topic of discussion. The hard truth, however, is that Southern Baptists are sending missionaries home. We pray. Jesus told us to pray to the Lord of the harvest to send laborers into the harvest (Matt 9:38). We send. Our God is a sending God who calls us to send our very best into that harvest (Acts 13). We give. Senders send through not only giving people, but dollars. Like never before our churches must step up to the challenge Lottie gave and give so that the gospel might spread. I know personally of two such churches in the Kentucky Baptist Convention who have heard the echo of Lottie’s challenge in recent days. Highland Park Baptist in Louisville and Williamstown Baptist in Williamstown both challenged their churches to give more than they have ever given to the Lottie Moon Christmas Offering. Both churches had goals for giving this year, but upon hearing of recent challenges with the IMB their churches responded incredibly. Their churches both gave three times the amount of their Lottie Moon goal. Springfield Baptist Church had a goal of $12,000 and had collected over $20,000 as of January 10th. Not sure what their total ended up being, but we need more like them. That’s awesome! Praise the Lord! Yes, may God raise up more Highland Parks, Williamstown’s, and Springfield’s! Hey Doug, Thanks for sharing this! Praise God and may it only be the beginning of signs that the sleeping giant (Southern Baptist Churches) is awakening from the false security of material comfort to the only hope of the nations! Yes, may it be so! !